Garces Memorial depends on the support of the community for the day-to-day programs and services we offer our young people. There is something truly extraordinary about Garces Memorial and each and every one of you have, will, or can play an integral role in our growth and the success of our students. Please consider donating your time, talents and resources. “Good will come to him who is generous and lends freely...” (Psalm 112:5). As a private Catholic college preparatory school, Garces Memorial receives no state or federal funding for educating our students. Therefore, the school relies on the generous support of our benefactors. In an effort to offer a "top notch" Catholic, college preparatory education, while keeping it affordable for all of our families, we must rely on the generosity of others. The cost of education has skyrocketed over the years. Every Garces Memorial student receives at least a $2,000 subsidy. This subsidy represents what it costs to education a single student and what we charge our families. We continue to offer all of you the opportunity to enjoy the fellowship of your classmates, friends and fellow parents through our Fall BBQ, Night at the Races, Gala and the Monsignor Leddy Golf Classic.  The Garces Memorial High School Alumni Association has been revitalized to incorporate additional opportunities for our alumni to return to their alma mater, stay informed, and participate in a variety of alumni activities. If you are a first time supporter, or considering a gift to Garces Memorial, thank you. If you have given in the past and wish to continue in your support of our efforts, we are grateful.